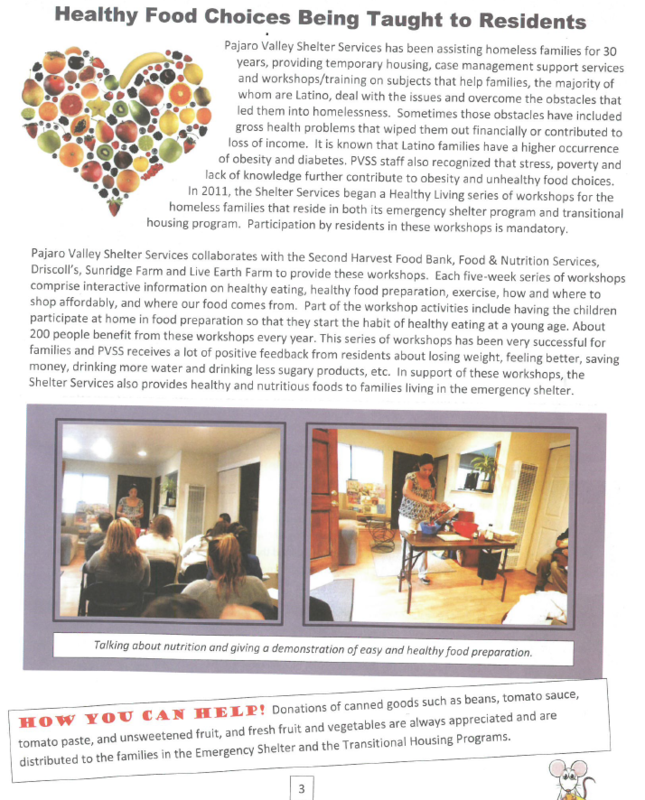 Read about Pajaro Valley Shelter Services‘ Healthy Living series in this article from the Spring Newsletter 2014! Pajaro Valley Shelter Services has been assisting homeless families for 30 years, providing temporary housing, case management support services and workshops/training on subjects that help families, the majority of whom are Latino, deal with the issues and overcome the obstacles that led them into homelessness. 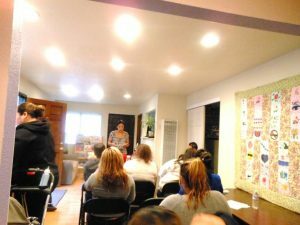 Sometimes those obstacles have included gross health problems that wiped them out financially or contributed to loss of income. 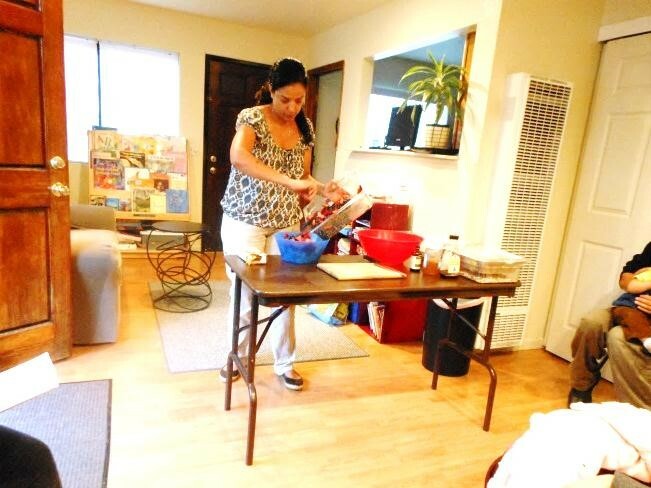 It is known that Latino families have a higher occurrence of obesity and diabetes. PVSS staff also recognized that stress, poverty and lack of knowledge further contribute to obesity and unhealthy food choices. 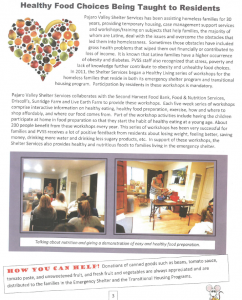 In 2011, the Shelter Services began a Healthy Living series of workshops for the homeless families that reside in both its emergency shelter program and transitional housing program. Participation by residents in these workshops is mandatory. Join our mailing list and we'll keep you up to date on what is going on with us.